I felt like I had been punched in the stomach. When we got to my grandmother’s house in Montreal I lay sobbing on the bathroom floor, my face against the cold tiles. The idea that the forest was ownedâ€“a place I could not goâ€“was bigger than I could process. Since then I have wandered far and found many sanctuaries â€“ places that I loved, and thought were safe. The scrubby vacant lots of my childhood, the tadpole-rich streams. I felt that they were wild, and they were mine, and that they were free, and that I could always return there. But there are no more wild lots in North York, and the frogs of cottage country have been silencedâ€“their marshes drained and their streams diverted into culverts. 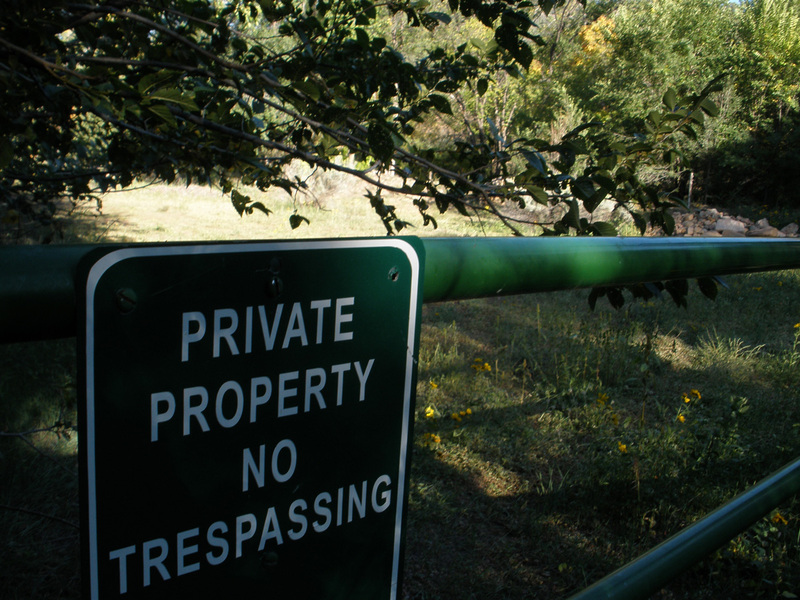 Savary Island, La Manzanilla, Cortes Island, the desert valleys of Santa Fe – all are fenced off, or for sale, with a sign at the gate reading: PRIVATE PROPERTY. No matter how hard I might fight to save them, I am forever a trespasser. The rage I feel about this crime of property is a howling wolf in my heart. Experience tells me that I have access to all the riches the world has to offer, and that I have the resilience to be happy anywhere. My intellect knows that securityâ€“the notion of a permanent and unchanging homeâ€“is pure illusion. And my smug political mind declares that it is exactly this mad assumption that we can own the earth, turn it into property, into real estate, then exploit and destroy it at willâ€“that got our species into the mess we are now in. But it only takes a KEEP OUT sign to unleash the wolf in my heart, and I scream into the sky and I wonder if I will ever find home. My love for Sweden, dear Carmen, grew exponentially when I found out one can go and sleep anywhere, private or public – makes me feel sorry for myself as a Canadian, when previously I didn’t before. Sad we don’t have something similar. We don’t hear those verses so much in “Our Land” because they are considered heretical. 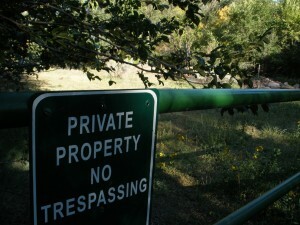 the other side of that horrible two edged sword called private property, is that once “we” own it, it is safe from logging, drainage of the ponds and all. I so love “my” land, and am so glad I am here as its steward. As one who grew up on a farm and still being able to visit that place of my youth I so treasure roaming freely amongst the trees, open grassland and fields. But alas the idea of freely moving about, at least in most of the “modern” world, is limit to who has that deed to the land. That is truly a sad reality. Perhaps one could wish for those deed holders to do something outlandish like invite one and all to visit. Kinda like, “I am the current custodian of this little piece of land and I welcome you to enjoy, experience and simply be in this time and place”.